BTE Tools Standard Corner Flushers are ideal for base coats. The precision hand milling makes this absolutely the smoothest running flusher you have ever used! Solid billet machined core provides utmost precision and body made of surgical stainless steel stays true even with extensive use. Genuine Stainless Steel runners will not rust or corrode like some competitors, allowing for an extremely clean finish. BTE standard corner flushers feature superior locking clip to keep flusher attached and will work with any brand flusher handle. 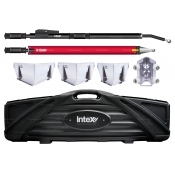 Top Quality Tools for the Better-than-Ever Tool system. 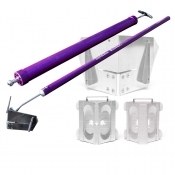 Made of one piece, high grade aluminum bodies for sturdiness and durability. Attractive red anodizing gives the tool long lasting protection from corrosion. Step up to the Red Diamond Series! 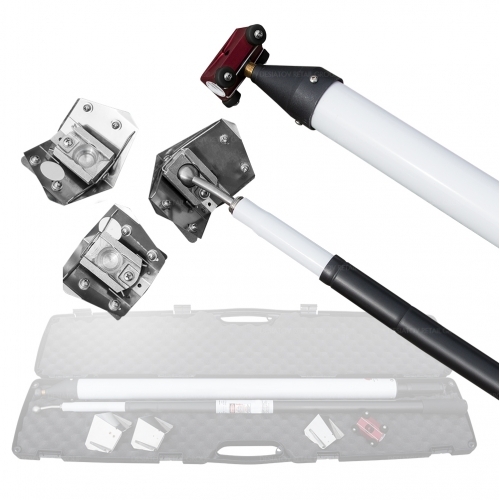 The BTE Tools 36" Compound Tube is an extra high quality aluminium tube, head, and swap out implement ball. BTE Tools 36" Compound Tube features a smooth syringe action supported by a plunger bushing - Easy push and fill with the long term quality you expect from better Than Ever Tools. BTE Tools’ tubes are true professional grade, and the aluminium main components won't bust, crack or easily break like the competition. This 36” model is ideal for tight spaces or small runs. Compound tubes fill like a syringe - simply insert the tube into the compound bucket with the plunger rod collapsed - pulling the plunger rod out fills the tube with compound. Depress the plunger rod to dispense compound. Simply an Easy way to apply compound to the wall. Sometimes you just need that extra inch. Now you can get it from the BTE Extension Poles. 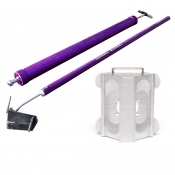 With increased angle range and incredibly lightweight aluminium handle, these Extension Poles truly are Better Than Ever. This classic case is fitted specifically for Better-Than-Ever Drywall tools. With an attractive alligator texture, the case features strong durable hinges, a protective outer and inner, a handle and latches.